Ecological Succession is the process of one plant community gradually replacing another, from early-stage grasses to mid-stage shrubs to climax oak savanna, for example. First discovered in the 1890's by Professor Henry Cowles, succession is crucial to our understanding of ecosystems and our ability to restore them. 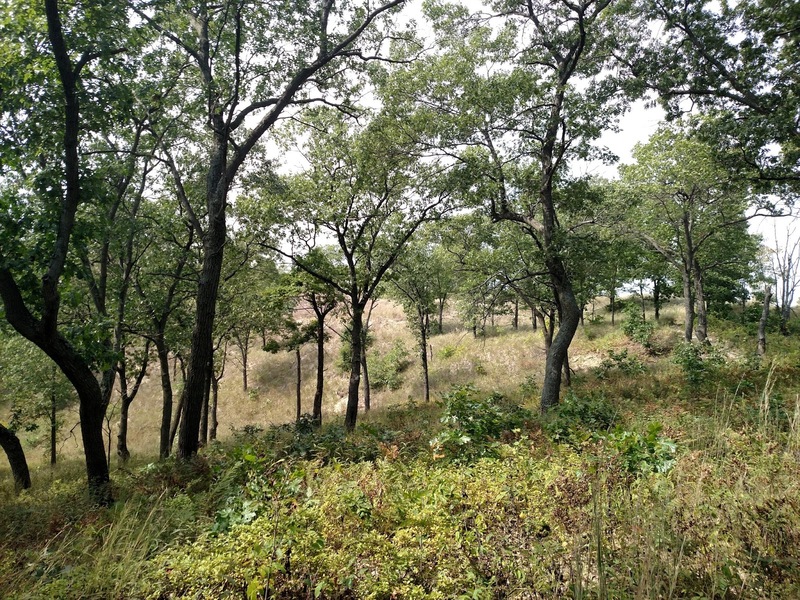 A successional cycle begins after a disturbance, such as a wildfire or a plow, or after the formation of new land, such as at the Indiana Dunes. 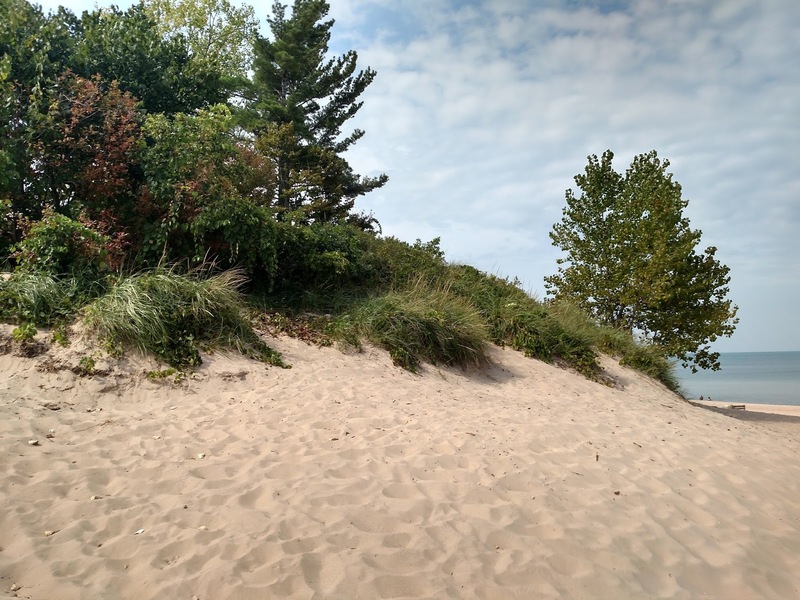 New dunes form as Lake Michigan gradually recedes northward and deposits sand. From the young dunes of cottonwood along the shore to the older dunes of oak inland, each dune represents a snapshot in the process of succession. In fact, it was here where Cowles first discovered it. 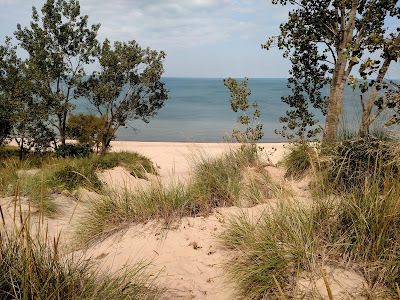 Primary Succession is when the process begins on newly formed land, such as the Dunes of Indiana. Here the first stage of succession includes grasses and cottonwoods. Maram grass are the pioneer dune builders. They spread quickly with underground roots (rhizomes), forming patches of grass that trap moving sand and grow higher up through the piles. Cottonwoods also establish here-- hardy, fast-growing trees that thrive in unstable sand. Branches buried in sand will sprout roots, and roots unburied will sprout branches and leaves. 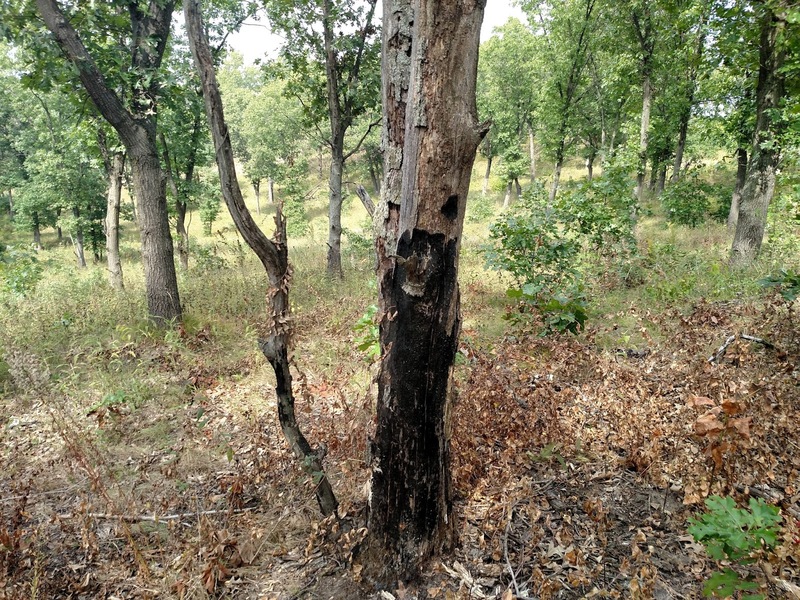 Together these pioneer species stabilize ground with their roots, build biomass, and create shade and moisture for the next succession. 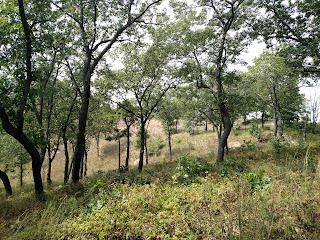 Hiking a few hundred yards inland (or a few hundred years in time) the dunes become more forest-like and support later-stages of succession. 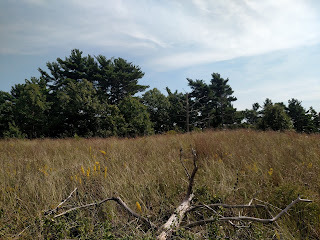 Jack Pines - Usually found in the Canadian tundra, the Jack Pines survive here on their southermost limits due to the cooling winds from Lake Michigan. 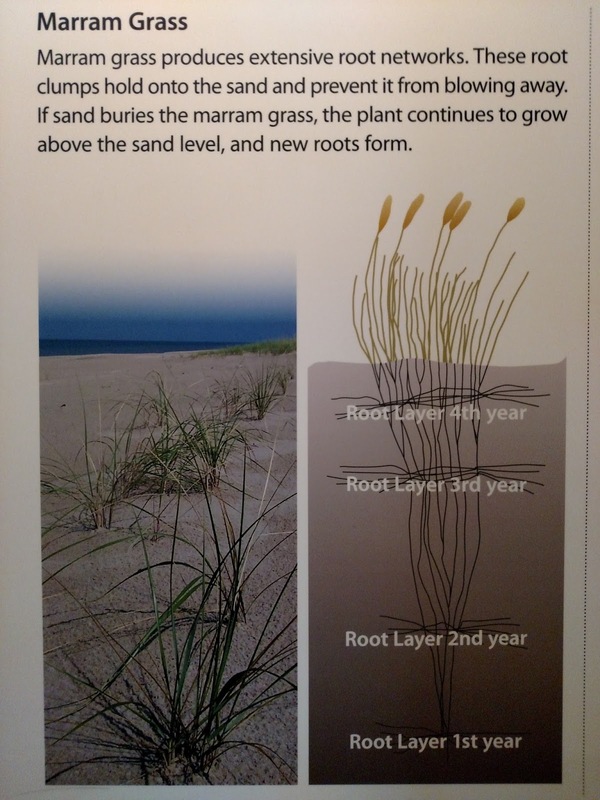 Their low nutrient needs lets them grow easily on the younger, sandier dunes. Oaks - As the cottonwoods and pines grow and die, their organic matter gradually builds soil. Oaks can then dominate these older, more fertile dunes. These dunes are also further inland, sheltered from the damaging and drying effects of wind. 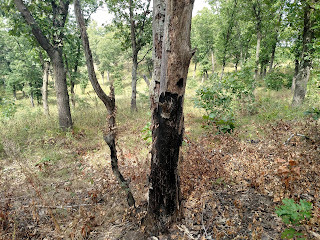 The resulting oak savannas, with their understory of herbs and their dependence on fires, may persist for hundreds of years. Beech/Maple are the final stage of succession, the climax, as the soil becomes more fertile and further inland, and their shade-tolerant seedlings can establish beneath the oaks and eventually overtake them. From grasses on wind-swept sand to towering canopies over a moist forest-floor, we can see the entire process of succession at the Indiana Dunes. With this perspective a grand symbiosis becomes evident: each community of plants assists the next, improving conditions for the next succession.